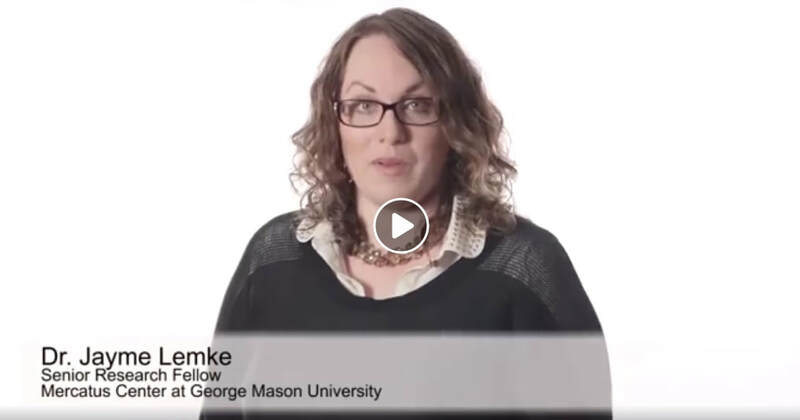 Thank you to the Institute for Humane Studies for inviting me to share my research with Peter Boettke and Liya Palagashvili for this mini-doc on community policing. "However, to the extent the focus of history has been on the grand feats of statesmen and scholars, the historical exclusion of women from formal political and educational systems has diminished the record of their impact on the world. A failure to recognize the importance of social history, including that of enterprise and political organization at the local level, has often gone hand in hand with a failure to recognize women’s contributions." Read the rest at Learn Liberty. "Many of the important insights of the early Austrian economists, including regarding the limitations of socialist economies, were derived by focusing on the process through which prices emerge. Those working in the Virginia public choice tradition focus on the processes within political and other non-market systems in order to understand how the incentives and constraints within those systems affect behavior and thereby outcomes. Practitioners within the Bloomington School focus their attention on the processes through which groups create laws and other governance systems.This emphasis on process is so important — perhaps, inevitable — because we live in a world that is constantly in flux." Read the rest at The Vienna Circle. "The complexity of the environment within which collective action takes place, and the fact that the rules actually in use within a particular group can be different from the formal written rules, both speak to the importance of understanding the incentives and constraints in effect as they are perceived by the people on the ground. Rather than looking out from the ivory tower, the Bloomington School emphasized getting out into the field and understanding the world as it is, not as the scholar or student wishes it would be." Read the rest at The Vienna Circle. "Hayek’s ideas enlightened me to a way of thinking about the world that had great significance and explanatory power. He provided a way to think about the order of the everyday that was not only exciting, but made sense. Seemingly dull, abstract phenomena like market prices and quantities produced were now illuminated in the context of the vastness and complexity of the systems that produced them, and that complexity was grounded in a logic that gave reason and coherence to the actions of the disparate millions of individuals involved." Read the rest at The Vienna Circle.